Posted on February 12, 2016 - 09:27 PM by Your Toledo Bend Express Team! When we heard about the Sabine County VFW "Valentines for Veterans" project - we immediately knew that we had to "Get On Board"! The VFW asked for help gathering small gifts for our Veterans that are hospitalized in Houston so we went to work gathering items from the list. It seemed like such a small request for people who had sacrificed so much for us and what fun we had! Somewhere along the way we decided to have a Girls Night Out, deliver our packages and play a little Bingo! What a great idea that turned out to be! 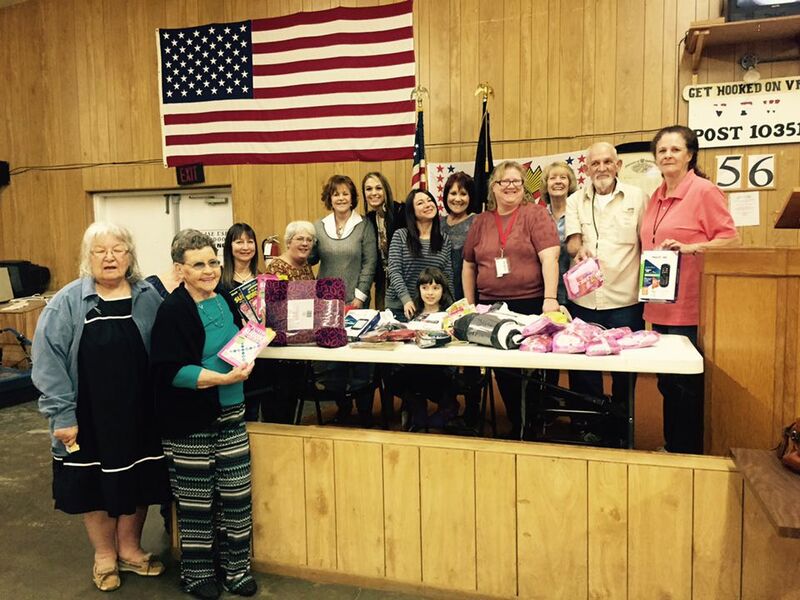 We headed out to the VFW with our goodies in tow – socks, toiletries, lap robes, track phones with minute cards, books, crossword puzzles, candy and hundreds of Valentine cards! 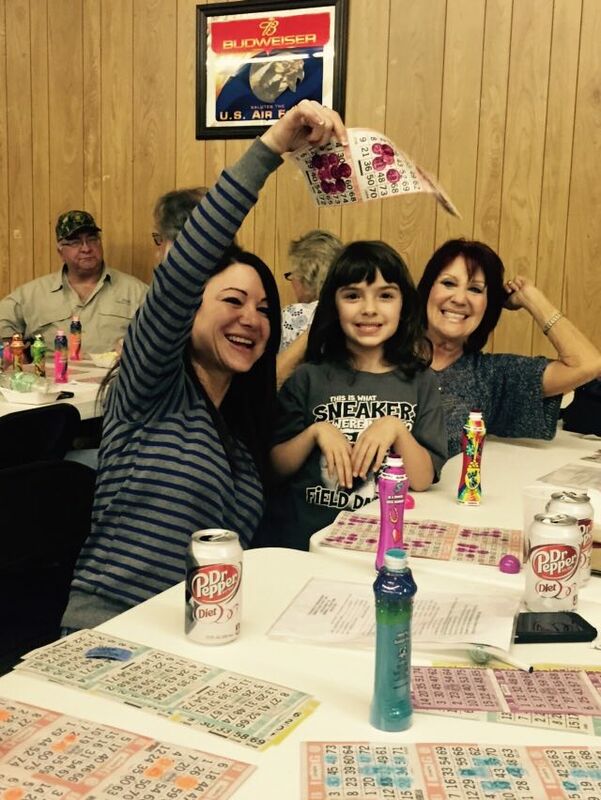 We made a quick discovery….Bingo is not for the faint of heart and we were pretty clueless as to what we were doing! We decided that we must have all had that “deer in the headlights” look on our faces because the VFW team kept stopping by our table to “check on their newbies”! 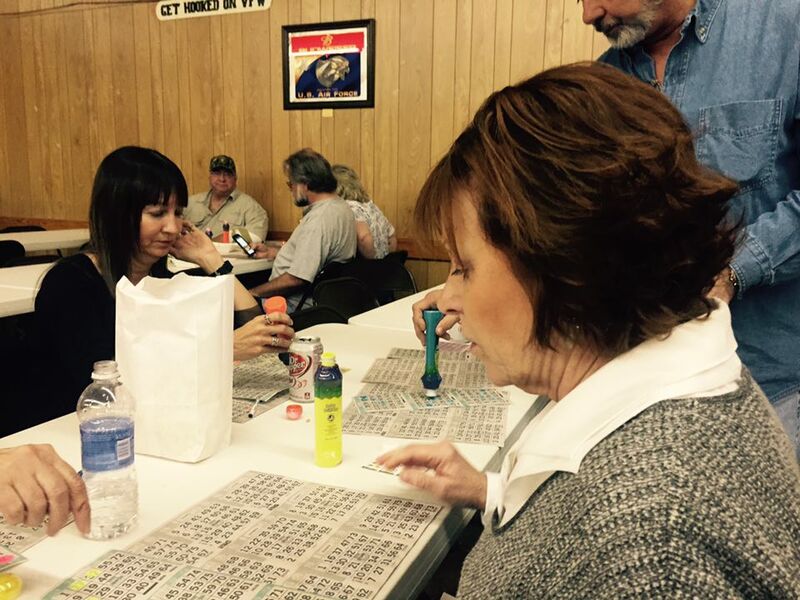 And then…a little voice from our table yelled BINGO! And Shelly’s daughter, aka “our little Mia” was a winner! I think we were more excited than she was! Misty, the youngest member of our team quickly followed and we joked the rest of the night that the “kids” kept us from getting skunked! We munched on popcorn, ate a burger and laughed until our sides hurt! 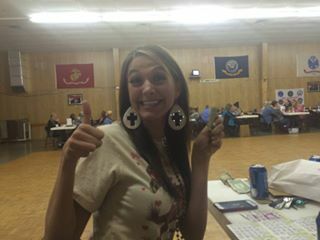 Thank you Sabine County VFW for allowing us to be a part of your wonderful project and for giving us a great night out! We had a blast! Sorry I was not able to join you but I want to commend our whole team for making this kind gesture to our vets. We were 100% on board with our gifts. Hope they are well received by those we owe so much.